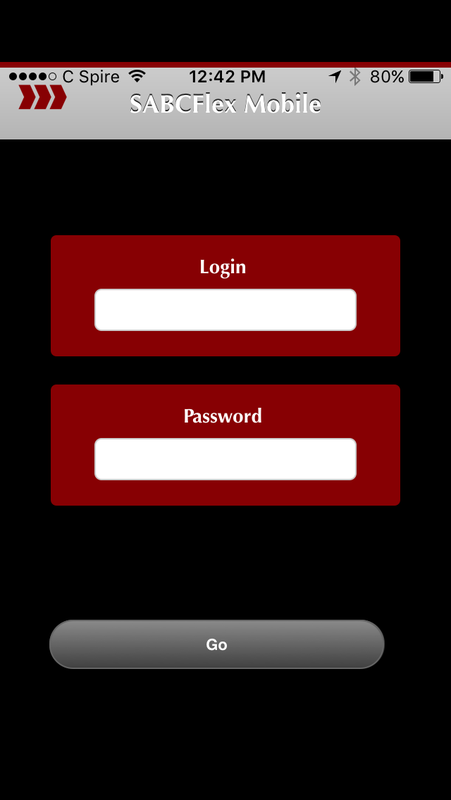 Once you have set up your account through the customer portal at sabcflex.com, you will use the same credentials to login to the app. The app is designed to work with your phones camera, so that you can take pictures of your receipts to submit claims for reimbursement or to validate a SABCFlex Card™ expense. The app is currently not available for Android. It it being revised and will be available in the first part of 2018.